Rarely available M-1 office/industrial condo in Railroad Square. First floor consists of 1,000+/- SF office/ industrial space with a roll up door, one private office, and one restroom. The second floor is 1,000+/- SF of open-concept office with high ceilings and wood laminate flooring. The third floor is approximately 400+/- SF of lower ceiling mezzanine (not included in SF). 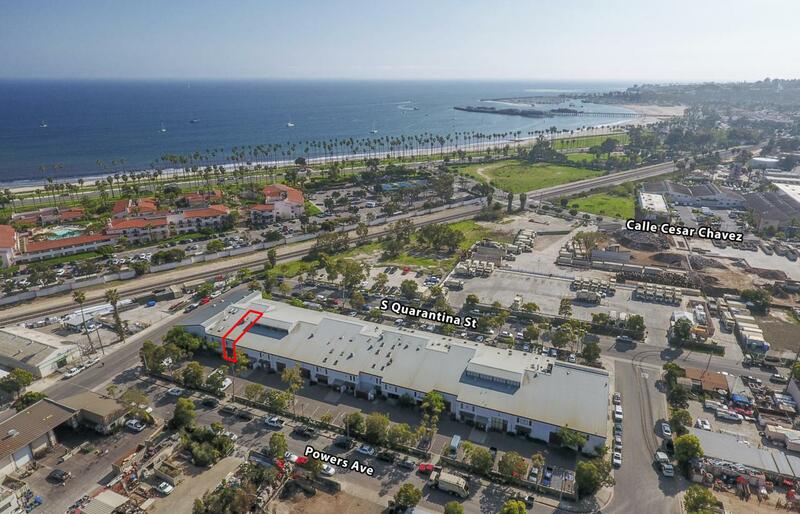 Space provides two assigned parking spaces and is situated near the beach and Highway 101.